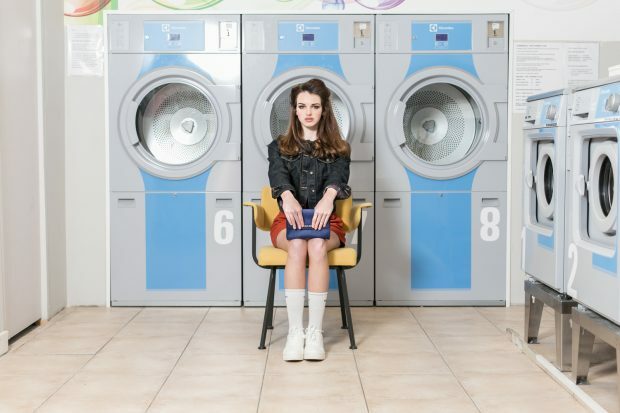 Welcome to the cleanest fashion shoot ever! 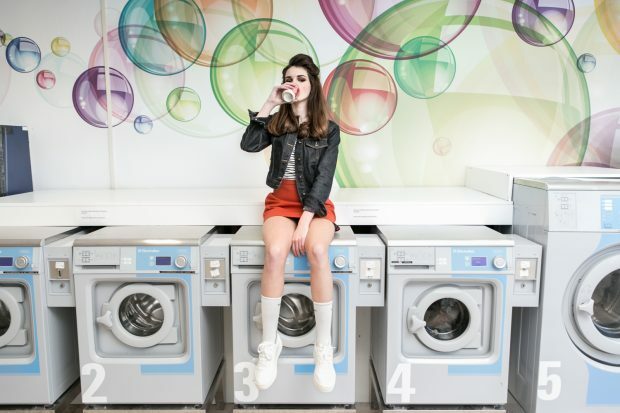 Doing a photoshoot at a laundromat sounds like a very unconventional idea, but at Megan Alter Photography we’re always up for a challenge. After shooting the “Athleisure feat. Adidas” series at the Amsterdam laundromat Bubble Stitch we fell in love with the set up and opportunities a laundromat provides. 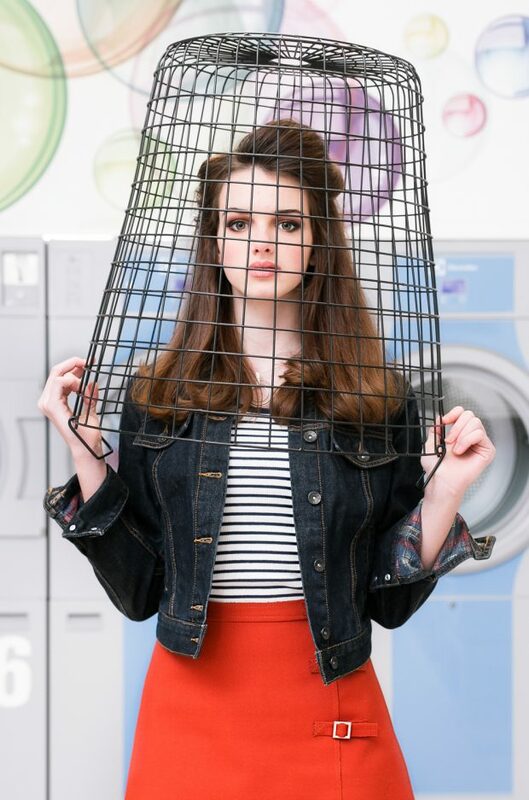 So we decided to turn a basic fashion shoot into a “Clean Laundry Shoot”. Together with our production assistant Roxana we set everything up for the cleanest photoshoot Amsterdam has ever seen. To get the clean and clear lighting we needed we used a canon studio light inside a rapid box diffuser and reflected it off the ceiling. We mixed studio and natural light to give the images the clean look of freshly washed laundry – perfect for the theme of our shoot. To give our image concept the last finishing touch we hired the dutch interior designer Eva Taute from Hygge Styling. She brought some props and decorations with her as well as some great ideas for our clean laundry shoot.